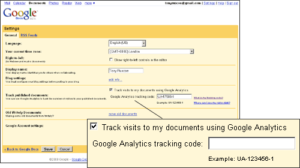 There was a time when you could enable Google Analytics tracking in what was Google Docs and is now Google Drive. Sadly the feature was removed and Google now recommend “embed them in your web pages, and then use Analytics to track the pages in which they’re embedded”. For someone who has a number of Google Sheet templates this isn’t entirely convenient and workable. I can embed a link to a template in a site and attach an event to track the number of times clicked, but given these templates can easily be copied and recopied there’s no way to monitor use. URL Fetch calls are quotaed by fetches per day and overall runtime (current Google Apps Script Quotas). URLFetch Service requires authorisation before it can run. This means it cannot send data unless the user has given permission. So if you are viewing a Sheet template Google Analytics will only be pinged after you’ve File > Make a copy and authorised it. This project by Googler Ilya Grigorik means if you can embed an image a Google App Engine service has been configured to make a hit against the Measurement Protocol for you. For this to work when you view the page the image needs to be served from the App Engine service. There are also limitations to this approach in that visitor and referral data is lost. In Google Drive it’s easy for us to Insert > Image in various applications including Documents and Presentations and even specify these as ‘by URL’. Unfortunately these applications also create copies of the inserted image rather than using the image specified by URL. An anomaly to this is Google Sheets. Sheets permits Insert > Image and a cell function IMAGE. 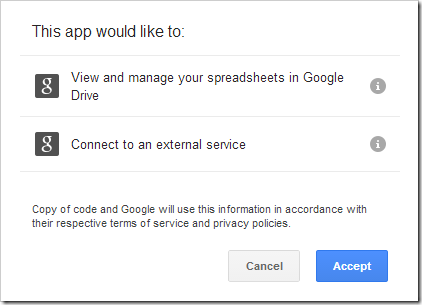 In both these cases the image is served from the URL you specify meaning we can track Google Sheets*. *New Sheets appears to serve Insert > Image in the same way as Documents and Presentations but the IMAGE formula method outlined below still works. Remember to use your own tracking ID. The ‘sheets’ and ‘UNIQUE_ID’ can also be whatever you like. 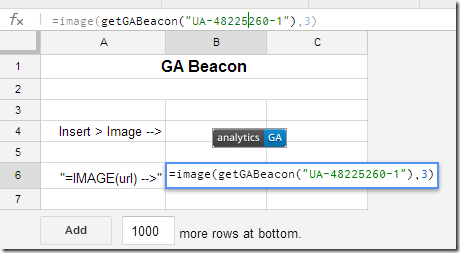 Using Insert > Image and selecting ‘By URL’ you can add a GA Beacon to a sheet (you can check you are collecting data by logging into Google Analytics and looking at Real-Time reporting). Now every time the Sheet is opened and the image is viewable the visit will be counted in Google Analytics. The url for the image is fixed so even if a copy is made of the spreadsheet as long as the image isn’t deleted you will get tracking data. Remember this way won’t work for New Sheets but the next method does and in my opinion is better. You can see this better in-situ in this Google Sheet which you are free to File > Make a copy to see how it works. As an added bonus the Apps Script methods used in this example don’t require authorisation so tracking data (limited to view count) is recorded for anyone opening the Sheet. 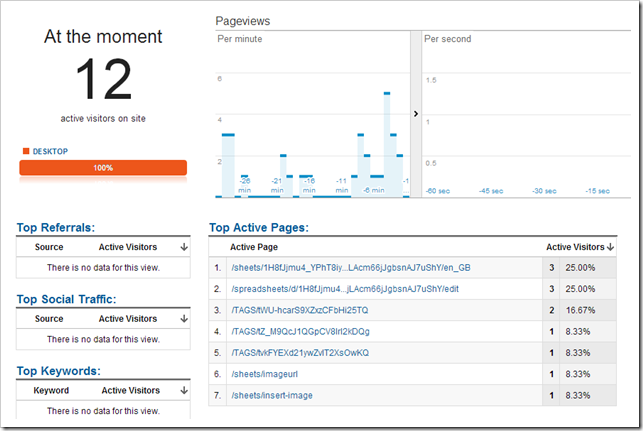 This is what the result looks like in Google Analytics Real-Time. So there you go I can now track views of my Google Sheets by including an image in a cell! Very nice, I’ll have to think of a reason to try this.